Just like your baby, you need special care too,with Mee Mee's Ultra Thin Disposable Nursing Pads you can stay fresh and comfortably clean. 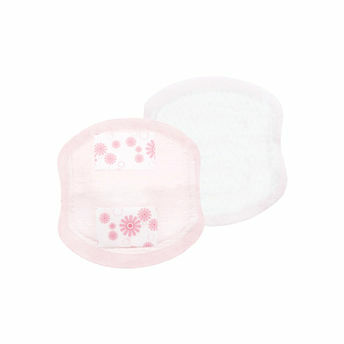 These pads are designed to absorb moisture which protects against leakages. Made from the finest of materials, these pads have a ultra thin but super absorbent contour for a natural fit with a soft and traditional shaped pad to keep moisture away from delicate skin. This pad becomes one with your body, and sits discreetly under your clothes fitting snugly into any brassiere. With it's non-slip extra-wide adhesive tape, it ensures that the pad stays in place for longer hours giving you more comfort and ease. For extra convenience each pad is individually wrapped so that you can carry them in your handbag or your Mee Mee's Diaper Bag easily.